Christmas Greetings from Israel, where our Savior, Jesus the Messiah was born! My wife Lydia and I are here as part of GOD TV’s ongoing global outreach from and into this land, and we want to share the joy of knowing Jesus with you this Christmas season. Do you ever wish that you could insert yourself into a Bible story? I do! And as we celebrate the birthday of the Messiah, I’m drawn to those shepherds in Bethlehem. Just imagine… you are working hard, watching over your sheep, and all of a sudden you have the most amazing encounter with God. They were ordinary people, just like you and me, and God chose to reveal His glory to them just as He can impart His presence to you and your family this Christmas. Oh, to be there! To hear this great announcement. I know that, unlike them, we have the presence of God with us in these earthen vessels or human bodies. 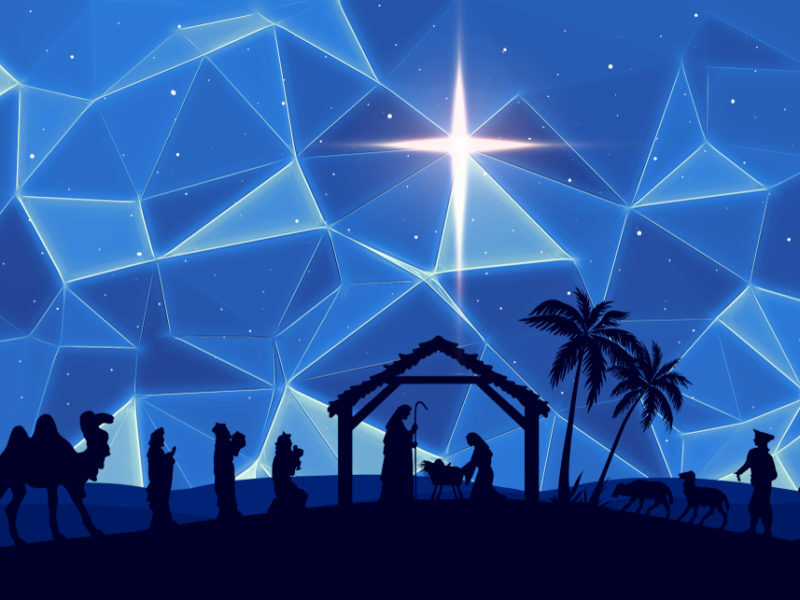 But still, how amazing it would have been to hear of the coming of Messiah, witness this heavenly choir and then go to Bethlehem to witness His first moments on earth. Yes, they went to see Yeshua (Jesus). What they still did not understand was that his name, Yeshua, was connected to His mission. Yeshua means salvation and the longer form, Yehoshua, means Yahweh is salvation. He would live a perfect life and then through His body make atonement for us all. Through Him we have forgiveness of sins—even eternal life. We have good news to share with all men. There is something so special about a baby being born, as Lydia and I have recently experienced with the birth of two granddaughters in the space of a week. It’s such a joy to see God bless our family and we know He has great blessing in store for you and your loved ones! This Christmas season take some time to mediate of the birth of Messiah—how Jesus humbled Himself more than any other man, leaving the comforts of Heaven and the Father’s right hand to come to earth and not only live as a man, but allow Himself to be mocked, ridiculed and crucified by the very ones He loved; the ones He came to save. And when you are thinking what you can get Jesus for His birthday, I can tell you that He simply wants more souls—more people saved from their sins, worshiping Him with one voice, declaring the glory of God. Through your special Christmas gift to GOD TV we can reach more people all over the globe with the life-saving message of Jesus. We want what He wants—more souls! Let’s stand together and continue to be Media Missionaries, reaching out to the world through television and the Internet. Please, as we celebrate the birth of our Savior, consider making a special donation to GOD TV to mark the occasion. Your partnership will directly give 1 billion people across nearly 200 nations access to the Good News of Jesus Christ. There is no better present that you could give someone this Christmas. Also, why not consider setting up a monthly gift to GOD TV to start in the New Year? Monthly donations make a huge difference to our ministry and allow us to continue expanding our reach across the world. What a way to start 2019, committing to increase your sphere of influence by playing your part in sharing the Gospel via media. Thank you for your continued partnership. Lydia and I, our family and the GOD TV team pray for you and your loved ones. Have a blessed Christmas and walk in God’s favor throughout 2019.